Openings Available. Cost has been prorated. Goalies will have a 15 minute separate training with the goalie coaches at the start of each ice time before joining the whole group for the combination drills. This is an excellent program to develop your skills during the season in preparation for your upcoming hockey game. The youth / adult program follows our “Skills Plus” philosophy; each ice time is designed to enhance and define the skills needed to succeed. The participants begin with power skating (straight line speed, turns, pivots, stopping, etc.) and power skills (stickhandling, puck protection, passing, etc) training for roughly 20 minutes. 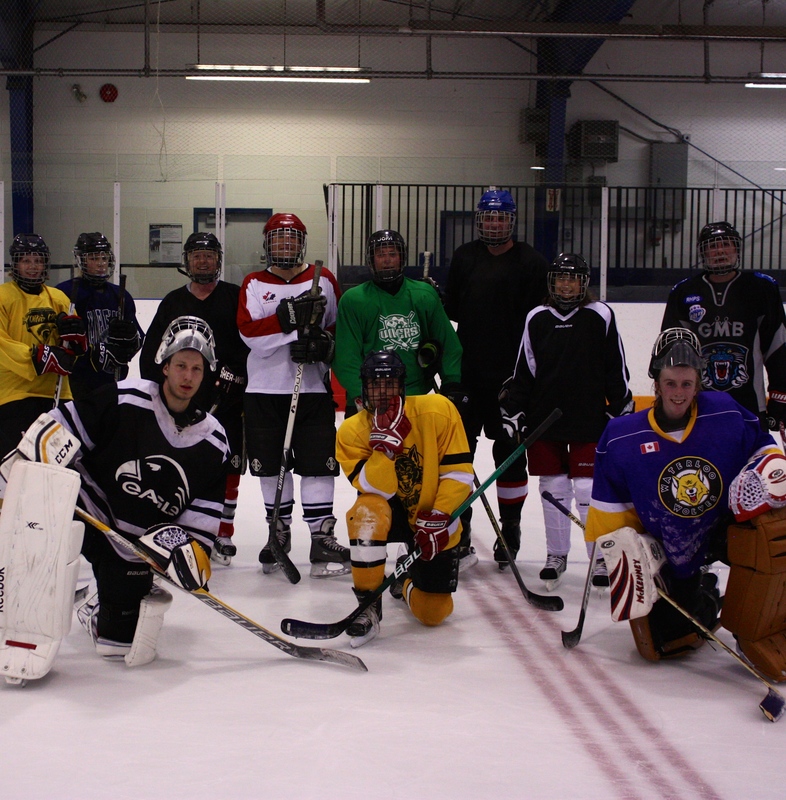 Players are then grouped based on skill level and age and rotate in small groups through stations working on individual skills combining puck control and skating, passing and shooting. Each session has a specific focus and progress over the course of each ice time and duration of the program. In later sessions we introduce individual and team tactics. The final component of each session is intense small ice games of 3-on-3. This training format keeps everyone active throughout, thereby maximizing puck touches and skill development time.